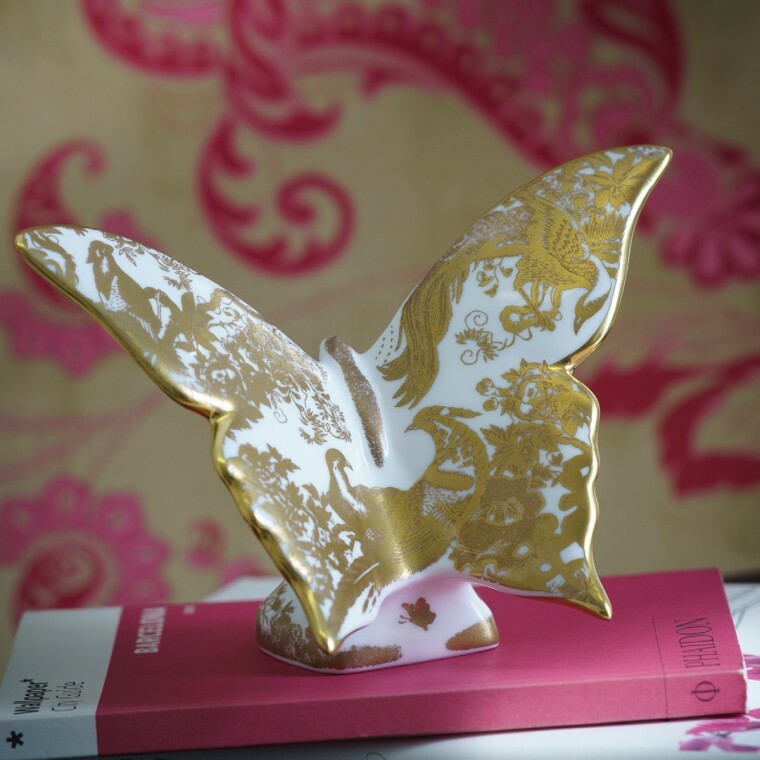 Showcasing design excellence through lavish hand decorated 22 carat gold, the classic Aves pattern is used to launch the Aves Gold Butterfly. 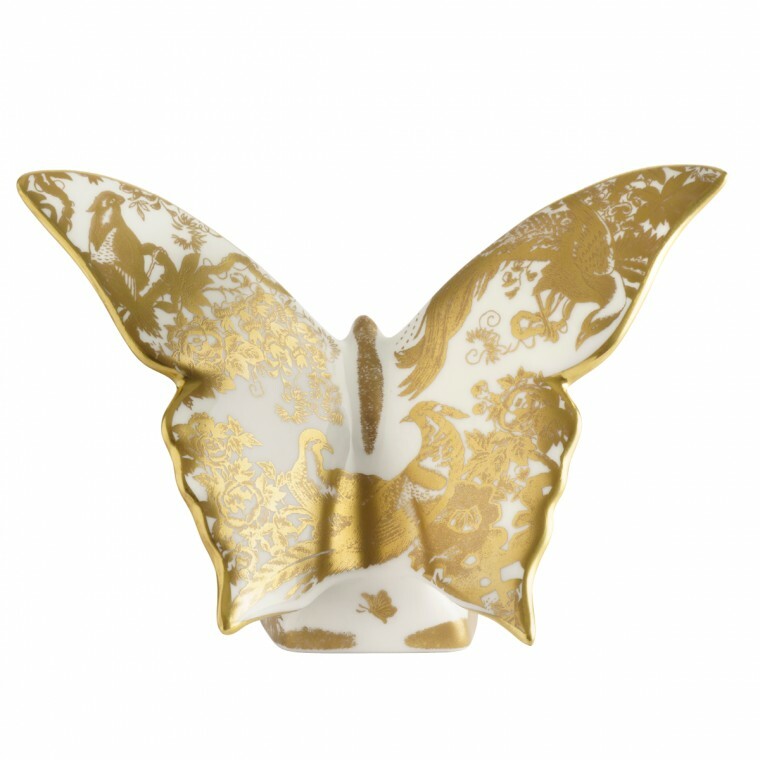 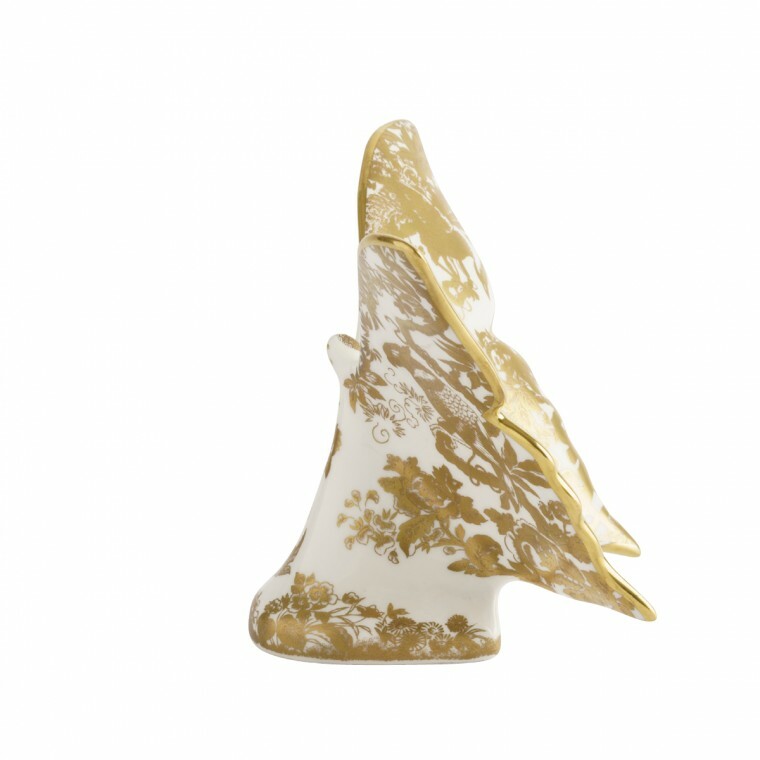 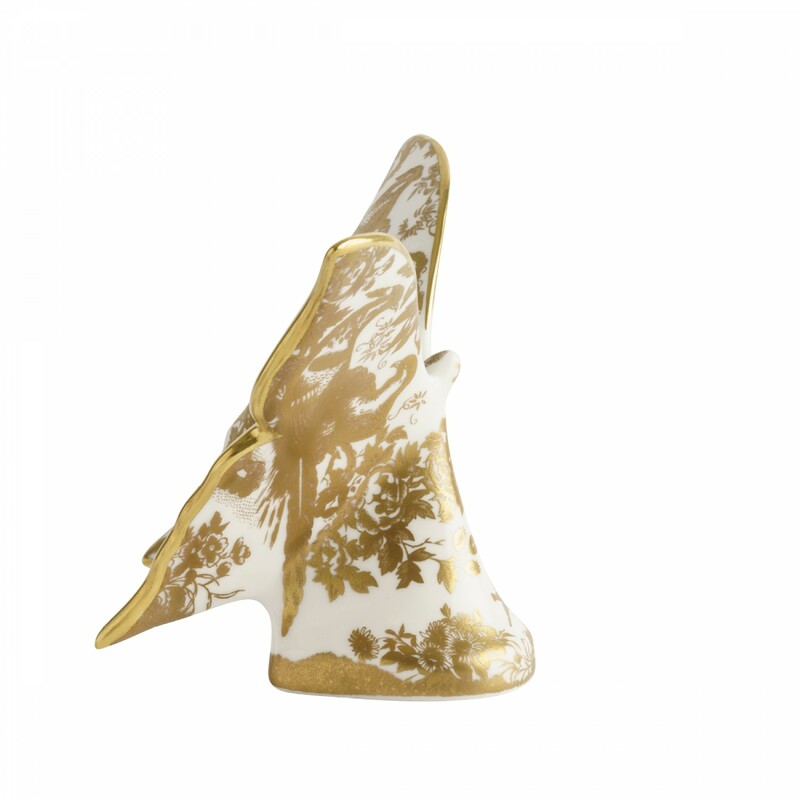 The butterfly represents cultural meanings of fortitude, change, hope and life, making the Aves Gold Butterfly a perfect gift of luxury combined with the popularity of having a statement piece to adorn any home. 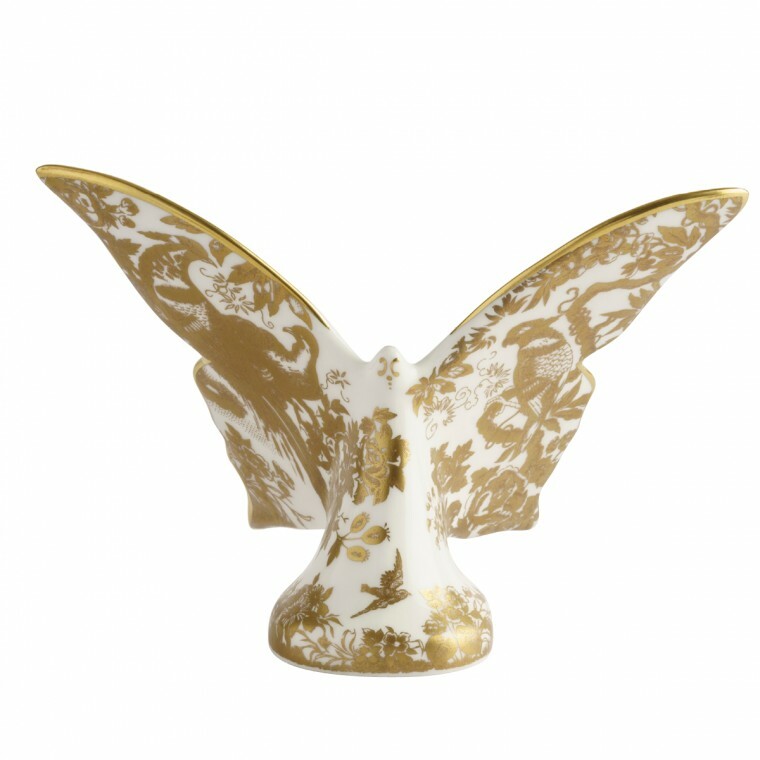 Adapted from an embroidery pattern by painter, Albert Gregory, it is elegantly designed to be a state-ment pattern, adorned with dramatic birds of paradise and peacocks. 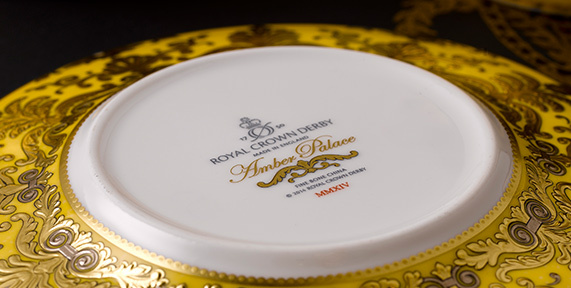 The original Avesbury pattern has appeared on Royal Crown Derby's luxury tableware since 1932.